And so it begins, the start of a two year adventure in the Czech Republic. A trip into unknown territory, the longest i’d been out of Ireland before was the occasional two week holiday. Sure i’d moved out of the family home and was renting an apartment with my girlfriend for over three years, but I was home in my parent’s house almost every day on my lunch-break from work. It felt like I never left to be honest, but now this is something new. Why Czech Republic you ask? I’ll be honest it was never very high on my list of places to visit let alone live in for two years. The wheels were set in motion a few months ago, when my girlfriend received an e-mail from the University of Pardubice, a town of 90,000 people 100km East of Prague. They had seen her PhD, and were suitably impressed with her work in the field of Analytical Science. So they offered her a Post-Doctorate position in the University, starting in January. We didn’t mull it over too much before deciding to go for it, she was only on a temporary contract with a pharmaceutical company until December, and I was going stagnant working in retail for nine years. 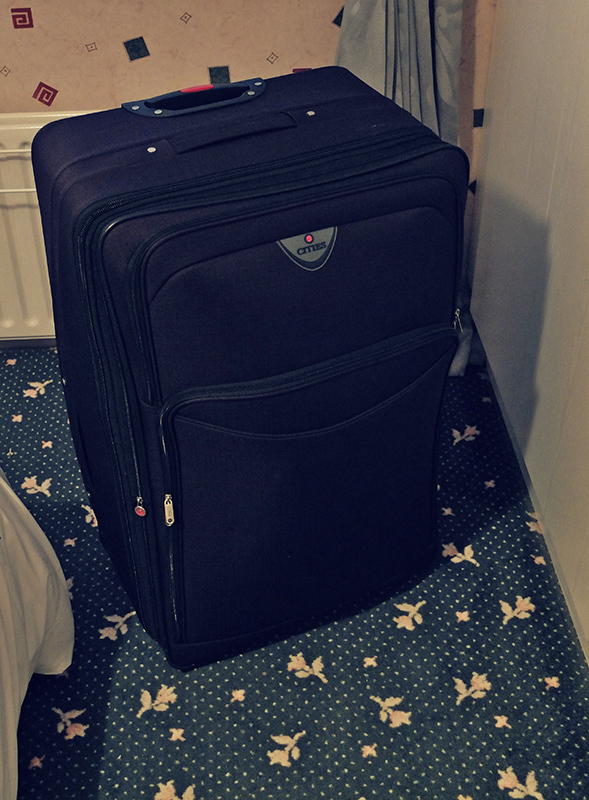 The months between the decision to go, and right now where I am writing this first blog entry from our hotel in Prague, have passed by in a total blur of panic and nostalgia. We moved out of our apartment (Stressfest 2012! ), I finally handed in my notice in work, something I never dreamed i’d be doing at this time, and we spent as much quality time as we could with friends, family and each other. And so it came to packing enough to start a new life. 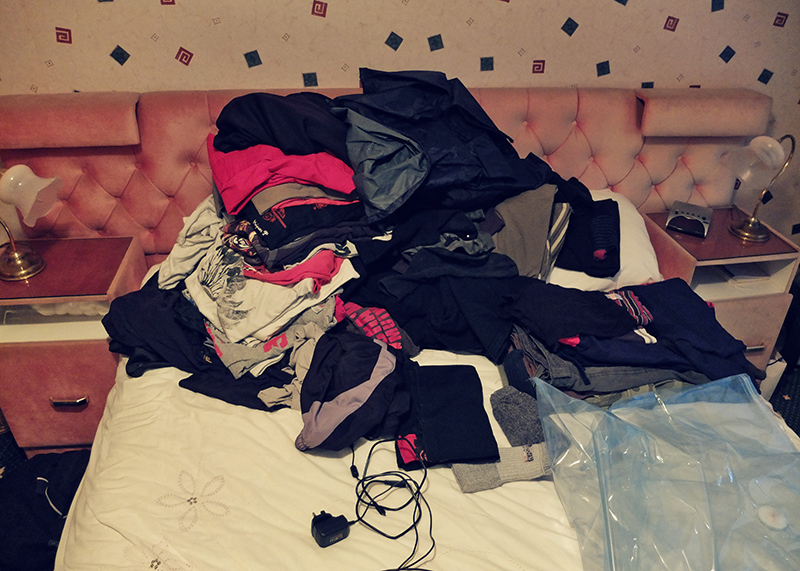 First area of concern was how to bring as much over as possible, while staying within the airline’s baggage weight allowance of 20kg. FAIL…….27.5kg…..whoops. This massive pile is still left at home! Sorry Mum. So the departure, leaving my home after almost 28 years and heading into the unknown, how was it? I remember the day before we left RTE had a report from the very same departure lounge showing families being split up after the Christmas holidays, returning sons and daughters were once again leaving their families behind and returning to their new lives. I sat silently and watched it with my mum and dad, not a word was uttered, nothing needed to be said really, we knew it would be our turn tomorrow. And all too quickly that day came around and we were all stood upstairs in the departure lounge, that damn horse staring down at us. I knew it wouldn’t be easy, I knew there’d be tears, especially from my mum. And sure enough tears did fall, I tried to keep it together, another fail but a needed one I suppose. And then we were off through the security gates, one last wave to the family before we disappeared out of view…….not forever…..just for a little while. ahoj! welcome to the czech republic! may your two years be filled with happy, positive experiences. Ahoj. Ja również od niedawna mieszkam w Pardubicach. Pozdravim!